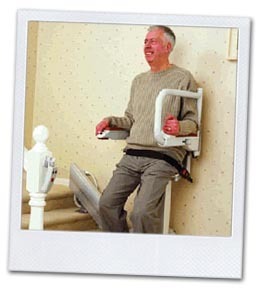 The Perched stairlift has been designed to help users who may find it difficult bending their knees to sit on a standard stairlift, or for people with exceptionally narrow staircases. Ideal for users with sitting / bending difficulties.. Ideal for users that suffer from back pains. Electronic and mechanical brakes, for added safety.